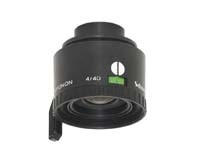 Schneider WA-Componon 40mm wide angle enlarging lens for 35mm and smaller format negatives. The wide angle design provides full coverage of the 35mm format while providing greater magnification compared to a 50mm lens. It is therefore useful where the maximum magnification is limited by the length of the enlarger column or ceiling height restrictions. The lens features an f/4.0 maximum aperture, click stops on each half-stop, and a full compliment of convenience features. Made in Germany by Schneider - Kreuznach. Note: The WA-Componon 40mm lens is not recommended for use with condenser enlargers.